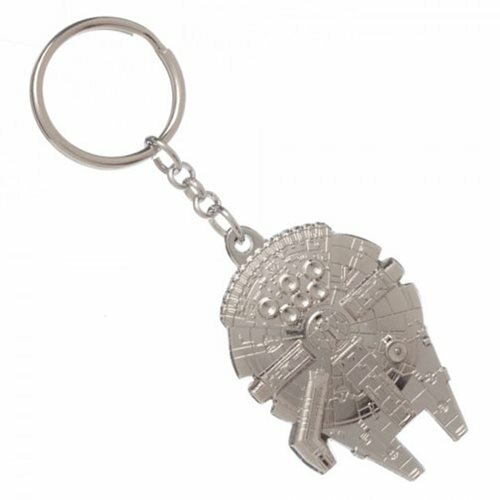 Commemorate the legendary Millennium Falcon, the storied vessel which "made the Kessel Run in less than twelve parsecs," with this Star Wars Millennium Falcon Key Chain. This key chain is great for fans of the Star Wars franchise looking to add individuality and style to their keys. The charm is attached to a key ring so you can attach all your keys in an organized manner.